100% financing and high speed internet. Beautiful Colonial on a secluded 4+ acres of country living. The kitchen has been newly remodeled w/granite counter tops. The basement is finished w/a wet bar & a full bath. The laundry rm is on the bedrm level along with a separate office/toy rm. 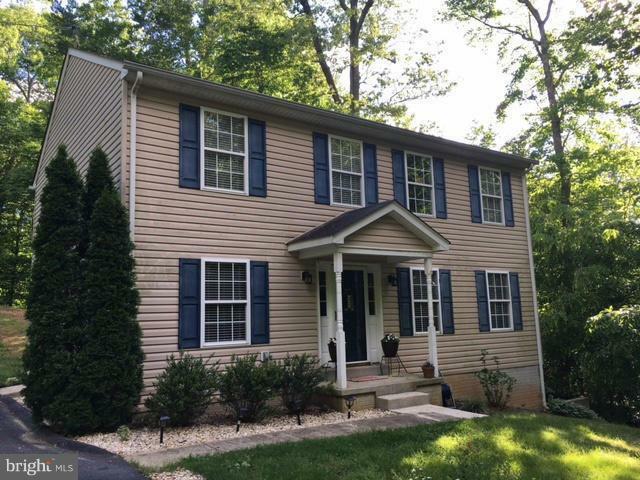 Enjoy summer evenings on the deck or walk to the nearby Smallwood State Park & enjoy fishing and boating.